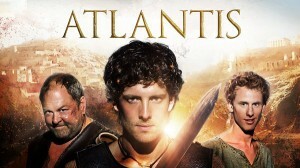 While it appears as though the pleas of many many Merlin fans continue to fall on deaf ears at the BBC, those that like the show chosen as the fantasy show’s replacement will be pleased, after BBC One confirmed the impending premiere date of the second season of fellow fantasy Atlantis. Now just over a month and a week away, the BBC will air Atlantis from 15 November on a run of unspecified length at present, adding to the current total episode count of 13. Starring Robert Emms, Jack Donnelly, and Mark Addy as the three characters mentioned, alongside a cast including Aiysha Hart, Alexander Siddig, Jemima Rooper, Juliet Stevenson, Sarah Parish, and introducing Emmett J. Scanlan (The Fall). Whether it will get big enough to acquire the cult following that Merlin seems to have remains to be seen, so will Atlantis work its way into their only natural goal in the circumstances, a position where cancellation would be met with huge outcry?